Is there such thing as too much luxury? I’ll often ponder this while sipping a gold leaf coated latte in Dubai. One airline officially says no, and it may not be the airline you’d guess. Qantas have just announced new in flight enhancements for customers at the very pointiest end of the plane, and amongst them: there’s a pillow menu. Too firm, too soft, not large enough, the wrong fabric or perhaps just right. Qantas is giving customers three new reasons to check out their luxurious first class, with an exclusive new pillow menu. Guests can choose from a range of pillows from iconic Australian household luxury brand Sheridan. There’s the Ultimate Comfort Pillow, Memory Foam Pillow or of course the classic Feather and Down. And it doesn’t stop there. 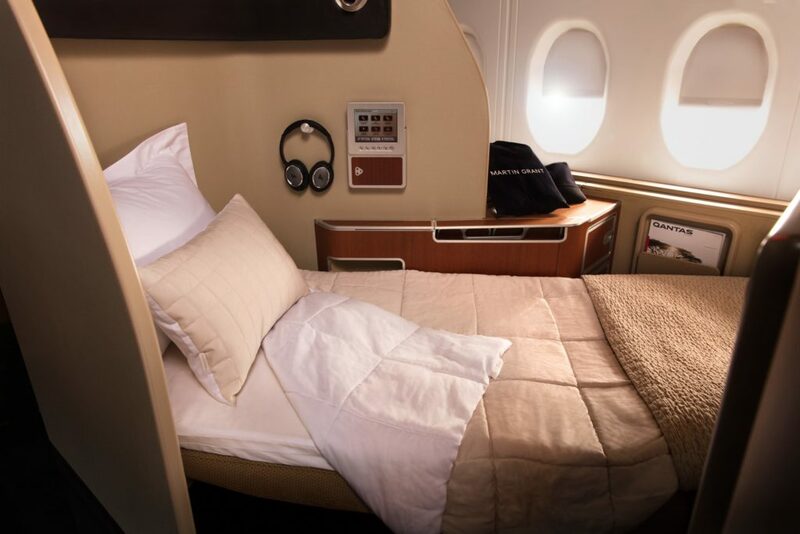 Sheridan and Qantas are introducing memory foam mattresses to compliment Qantas’ spacious first class seat. This is the first significant move in a wave of moves the airline is creating to refresh their first class suite, which will include larger entertainment screens and more ergonomic seating. When you combine these new offerings with some of the best champagne served in the sky, Neil Perry inspired food and pajamas with a kangaroo on them, this is quite the in flight product. What’s your pillow preference? Will you be trying out Qantas First? Previous ArticleMore Turbulence Ahead For Low Cost Airlines And Passengers?